As the entire world looks for ways to reduce human environmental impact, biopolymers and the bioplastics they create could be an industry standard by 2020. According to experts, Bioplastics, now in their third generation of production, will be a competitive commercial alternative as early as 2020. Each year, the world produces nearly 300 million tons of plastic waste, eight million tons of which finds its way to the sea. A substantial part of these plastic wastes come from food packaging, including bottling, and grocery bags. In the past, oil-based products were used to create plastic polymers, but now mostly-organic biopolymers and bioplastics aim to change that. It’s estimated that about 8 to 10% of all the oil extracted every year in the world goes to making plastic. In the U.S. alone, each year, around 12 million barrels of oil end up as plastic bags at grocery stores. But why waste oil when the byproducts of tomato production could accomplish the same? Its unsustainability as a material aside, the benefits of plastic for our modern lives are undeniable. Yet, its toll on the environment is also impossible to ignore. Environmental sanity and the sustainability of the planet’s resources call for a different way of producing, packaging and consuming food. Plastic is a perfect example of a facet of a “linear” economy, the model of production and consumption based on abundant natural resources and raw materials– which has been prevailing since the First Industrial Revolution. It goes something like: Extraction to Production to Consumption to Waste. Then redo the same process over and over again until the natural resource (oil, in the case of plastic) is exhausted. Humanity is extracting and processing oil to produce plastic at rates that far exceed the planet’s ability to regenerate resources and absorb waste. Recycling plastic is one necessary measure to reduce its impact on the environment, albeit not enough. Because reducing the impact of the current linear model only postpones the deadlines a bit, a more radical approach is needed. A radical approach would be adopting a more circular economic model that breaks with “impact reduction” and favors socio-economic and environmental sustainability. In such a model, bioplastics fit perfectly as they are made with more eco-friendly biopolymers while still offering the convenience we have come to expect from plastic. Instead of oil, bioplastics are produced from organic materials, such as corn, wheat, sugar beets, and even tomatoes. Although appearing to be conventional plastic, bioplastics are 100% biodegradable; they dissolve in a few months (compared to millennia for plastic). When they dissolve, bioplastics, unlike plastic, don’t make the soil sterile and some types can even be absorbed as fertilizers. 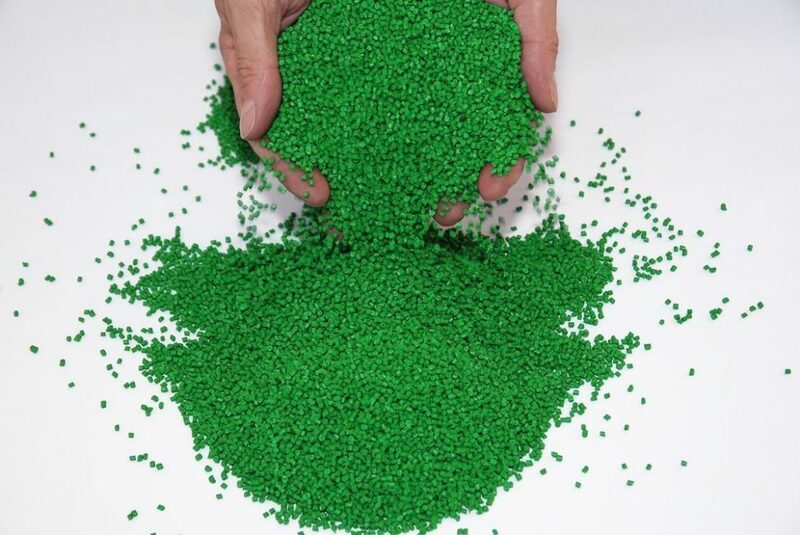 The market of bioplastic has made big leaps in recent years and is expected to keep growing. Italian experts at the National Research Council (CNR) believe that bioplastics, despite being currently 50% more costly to produce, will be available as commercial products and will also gain competitiveness in the early 2020s. Future Market Insights (FMI) has released its latest report that assessed the global market, covering the period from 2014 to 2020. FMI expects the global bioplastics and biopolymers market to account for $43.8 billion USD by 2020, (CAGR of over 28% during the six-year period). According to FMI, the market is driven by an increasing consumer acceptance, a growing packaging industry, and governmental programs supporting bio-based materials. So they’re using food to produce plastic? Sounds like another Ethanol scam to me. A big problem with ethanol is that it is less energy dense and burns no less cleanly than gasoline. It raises corn prices which is a detriment to many populations. If bioplastics are biodegradable, harmless in soil, produced from existing waste, require two-thirds less energy to produce than conventional plastics, and do not net an increase in carbon dioxide gas in the atmosphere, isn’t that an ideal solution?